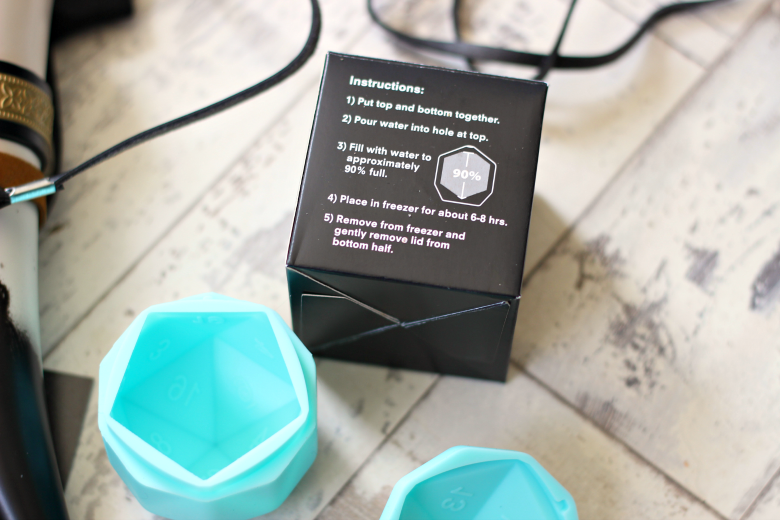 So what’s this Subscription box all about? 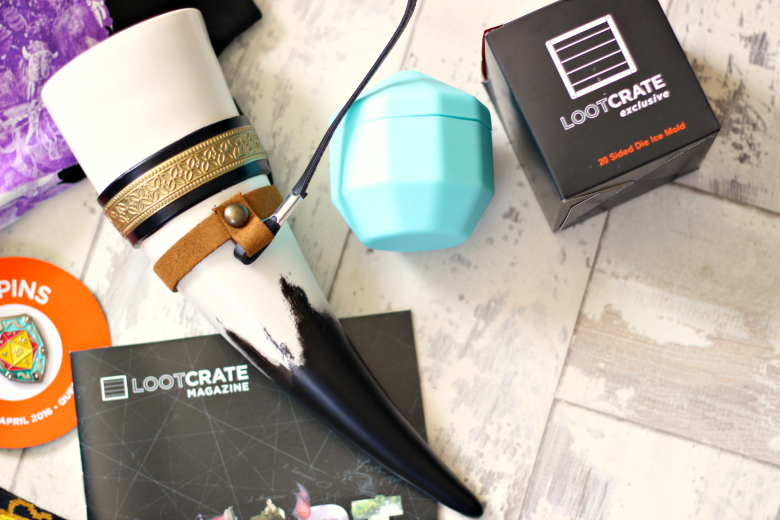 Loot Crate is a monthly subscription box with each month having a different theme. The crate is priced at $29.95 (£20.74 was on my bank statement this month) and the contents are said to be of the value of $45+. The contents inside is a variety of all things geeky from Movie and Game merchandise to exclusive items only seen in Loot Crate. You’ll find anything from t-shirts to socks and collectible figures from many brands and franchises such as Lord of the Rings, Star Wars and Nintendo. The exciting thing is trying to work out what’s going to be in the box! 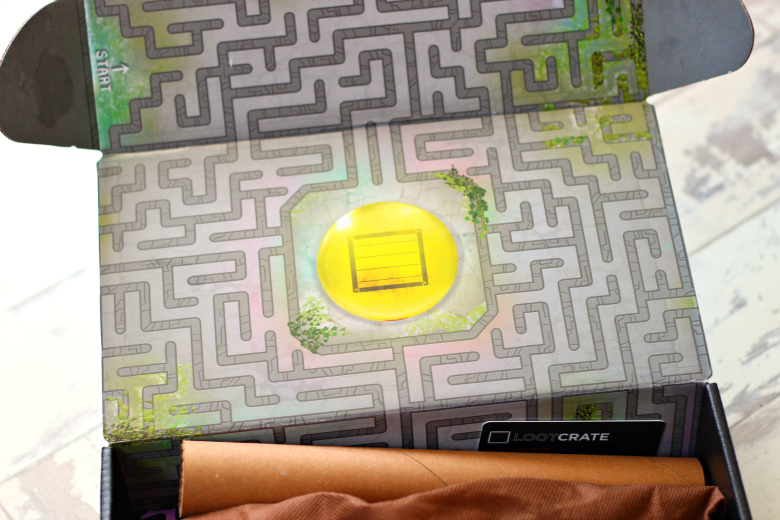 The April Loot Crate theme was Quest. I had such great hopes for this box after seeing contents of previous boxes and their themes. 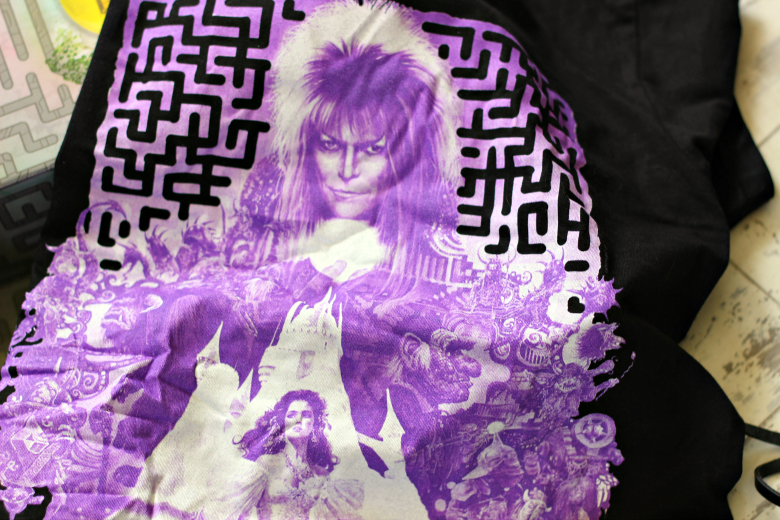 This eye-catching black with purple motif Labyrinth movie t-shirt. By far the best item in the box. 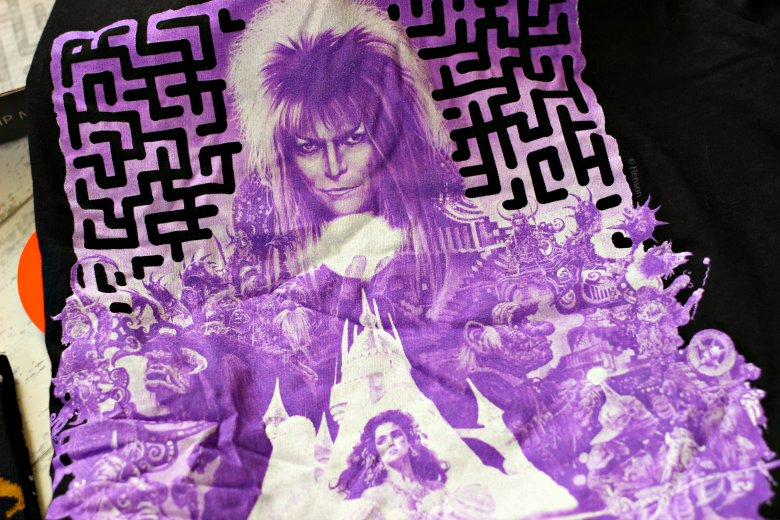 I do love collecting random t-shirts and a Labyrinth one has been on my mind for a while. Harry Potter symbol socks. HARRY POTTER SOCKS. Come on. You cannot go wrong with these. 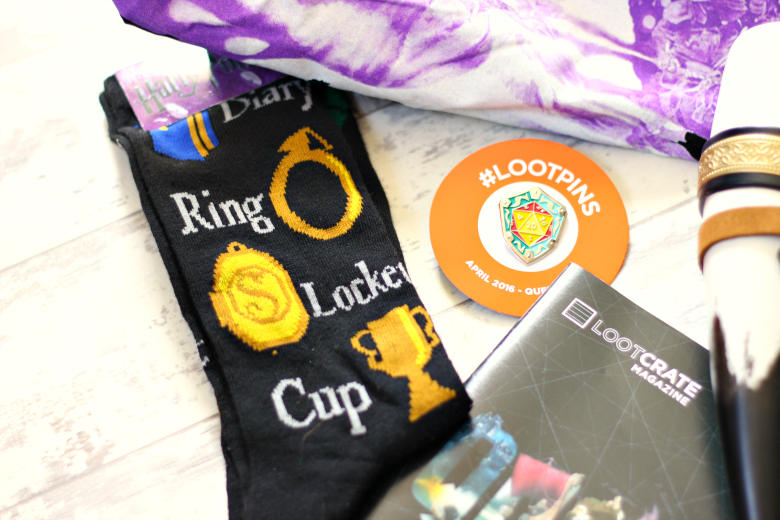 Loot Crate previously featured HP socks of other designs in LVL Up Crate. Added bonus for apparel lovers, check that crate out!  Quest pin. Every month there’s a pin included to go with the theme of the box. I think these are going to make a great addition to my every growing pin collection book, which admittedly is mainly Disney at the moment! Vikings Drinking Horn. Admittedly I haven’t watched Vikings but I thought this drinking horn was a great collectible that I’m more than happy to use! 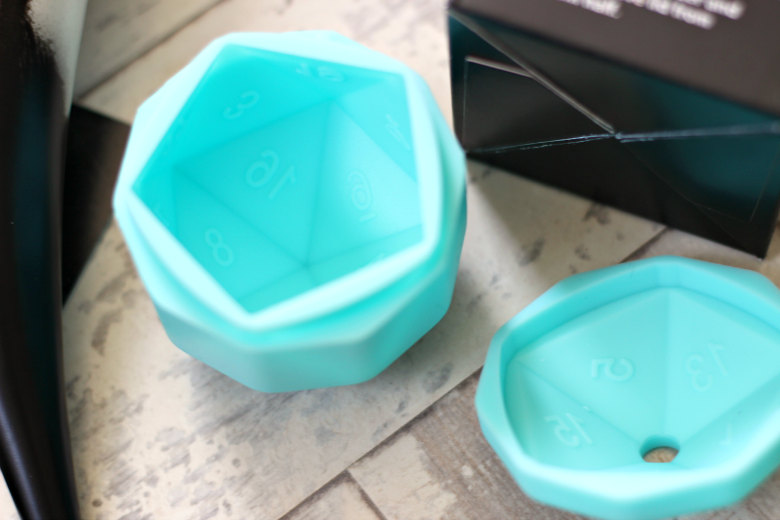 20-sided dice (D20) ice mold. A friend of mine also subscribes to Loot Crate and recently had a party, these ice molds basically wowed everyone. Plus made the perfect ice for whiskey! Uncharted 4 poster. Forgot to photograph, DOH! I was so excited when I heard that an Uncharted 4 item would be included in this box.. I’m not so fussed about posters if I’m honest as I don’t really put them up anywhere so I was slightly disappointed. However I appreciate it and I will keep it. So how fantastic Quest box was! If you’re thinking about treating yourself or even your friend, family or other half, it’s obvious to see that this crate is great value for money and the contents in it are perfect for gamers and collectors alike! But Loot Crate doesn’t stop there. 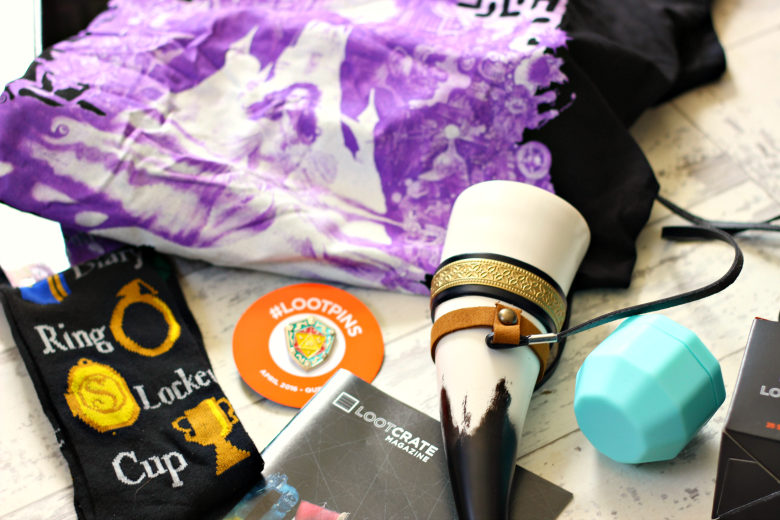 There are six types of Loot Crate you can subscribe to, two favourites I’m eyeing up alongside my Loot Crate are..
Level Up crate containing apparel, t-shirt, socks and even jewellery and accessories for the girls. 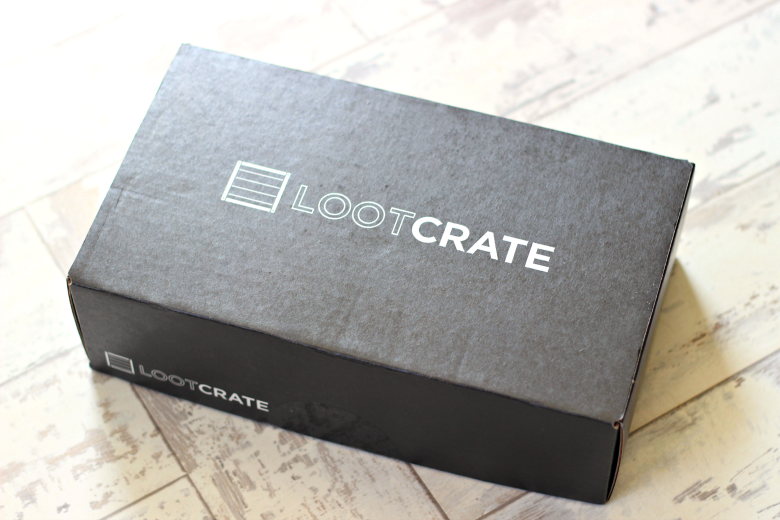 The ultimate Loot Crate DX, a next level box containing apparel, collectibles, home goods and more! To the value of $100+! What’s your favourite subscription box for geek, gaming and collectibles? Don’t forget use this link here to save yourself $5 off your first box! I’ve never heard of Loot Crate, but the ice mould looks like a lot of fun!